Lakhan Thakur Real name “Vishal Aditya Singh” Actors and cast in Begusarai, Zee World. Vishal Aditya Singh was born on the 28th of Jan, 1988. He hails from Bihar, India. He had interest in politics since his young age. He even formed a group which he used for local charities. He wanted to become a politician, but chose acting as his career. Vishal made his debut as Lakhan Thakur in ‘begusarai’ serial. He also played the role of Veerenda in ‘chandrakanta’. He is a good athlete and loves sport. There were witnesses of a cool romance between Vishal Singh and popular actress Madhurima Tuli. Vishal has made it known to the media that he respect his privacy a lot and would not want to say anything about it. 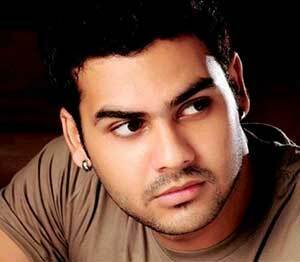 He played the role of ‘Lakan Thakur’ and later married ‘Poonam’ in the serial. The affair between him and Madhurima Tuli(old tanu in Twist of fate) has been confirmed true. Vishal will be seen in “Kollfi kumarr bajewda” starring Mohit Malik (Samrat), Anjali anand, Vishal singh. He will play the role of a rapper. Vishal Singh has been roped and presently the role of ‘Tevar’ in kulfi kumarr bajewala. Tevar is seen as a rapper/sensational singer who comes in as a competitor for Sikander Singh Gill(Mohit Malik). Vishal has loved to play the role of this kind and of course, is doing great with this show of his.